Near Andy Marshall’s house, by Apsey Brook before Hurricane Igor pretty much wiped out the brook area, there were a few beaked hazelnut trees. We didn’t really gather them for anything, but come late summer, when their spiny husk started to dry and the brown of the shell started to show through the husk, we’d always like to go get a few for a treat. Across the road from Random Island Academy there was also a field that we used for sports and activities, at least until the brook shifted and washed a lot of the field away. There were many many of these trees there near the brook as well, and early in the school year we’d often go across at recess and lunch to get some. But to be fair we mostly threw them at each other then rather than eating them. They were much more abundant before the great squirrel invasion. For those that don’t know, or are too young to remember, squirrels aren’t native to Newfoundland, and are only a recent comer. I don’t think I ever saw one before my teens, maybe later. Wikipedia says they were introduced in 1963, but if so it took a while before they became the overpopulated nuisance they are now. In any event, most of these wild nuts seem to be consumed by them before we ever got a chance to get any. Would make ya go nuts wouldn’t it? I heard that squirrels weren’t native. They’re cute but apparently not so much if they’re in your house or eating the nuts you were about to eat! 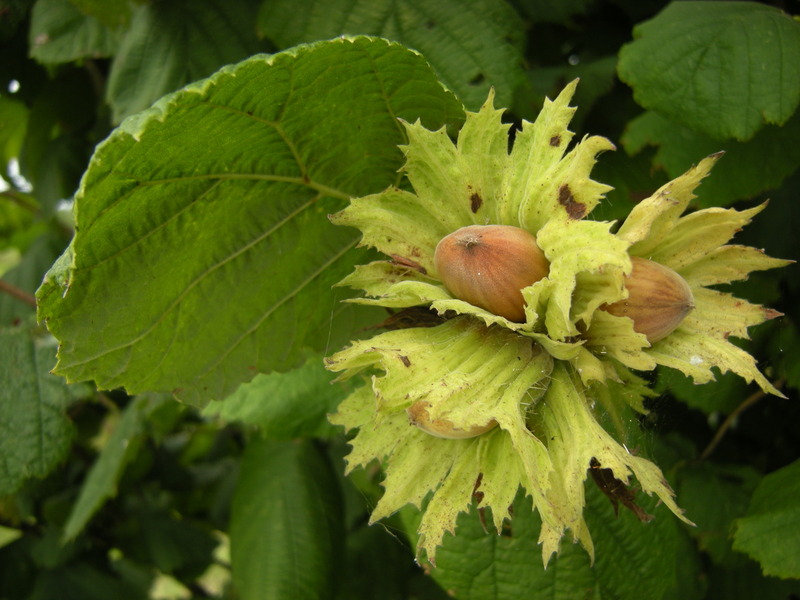 Good to know about the beaked hazelnuts. I think Mark mentioned seeing a few but we hadn’t gotten to eating any yet … will keep an eye out!